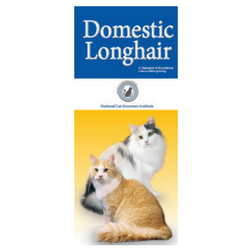 Elderly, or senior cats are frequently first-time visitors to a grooming salon. 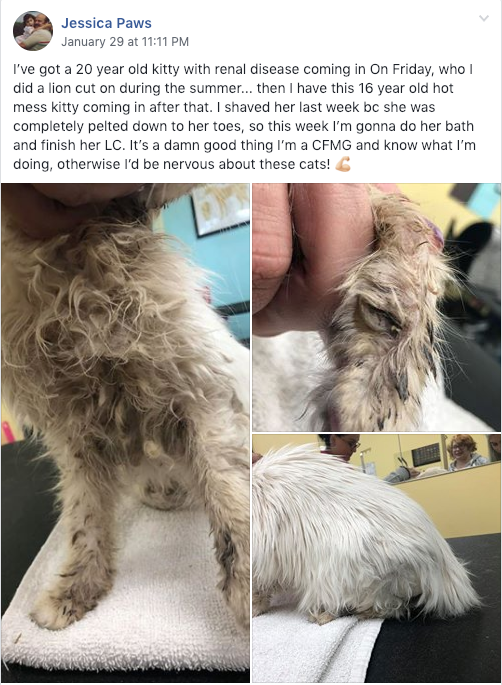 For many, they are already in bad shape and need gentle care to remove clumps, matted coat, excessive oils on the skin, etc. Cats, especially senior cats, can be particularly sensitive to stress. It can be a balancing act for cat groomers to make the groom as comfortable and safe as possible, in order to prevent the cat from becoming dangerously stressed. The best thing for a senior cat with grooming issues is to gently remove them and then get the cat on a preventative grooming schedule. Introducing bathing and grooming slowly is preferred, and groomers should use a priority system on deciding what services and in what order grooming is performed. Matting is painful on already sore and possibly arthritic legs, and needs to be removed. 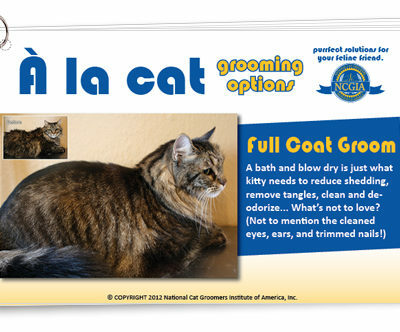 Some matting can be combed out without causing additional discomfort, but some matting can only be removed by a professional cat groomer shaving it out. Senior cat skin is delicate, wrinkly and easily nicked even with the most careful hand. 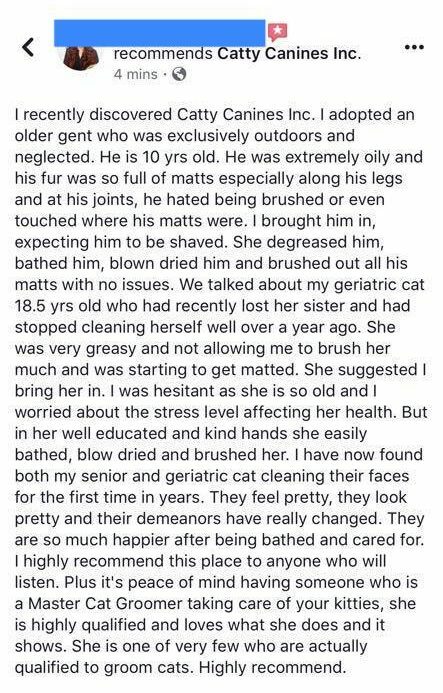 Certified Feline Master Groomer Chelsea Waddell received a wonderful review after working with a challenging senior cat. 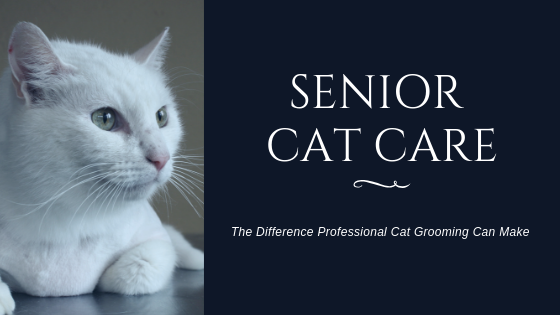 Senior kitties can have a higher risk of health problems, matting, and can be grease balls! 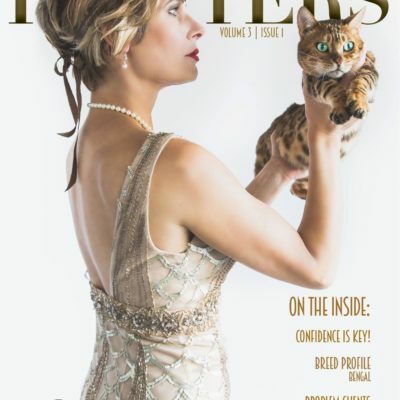 CFMGs like NCGI Certifier Jessica Johnson in California feels confident she can handle and help these kitties, crediting her certification and training with giving her the tools to be successful. 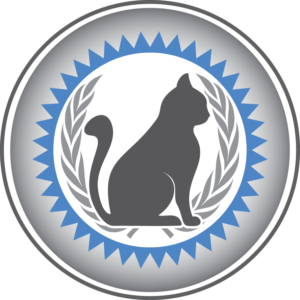 The Senior Cats online course is designed to aid groomers to adjust grooming procedures to limit stress and discomfort for senior cats. 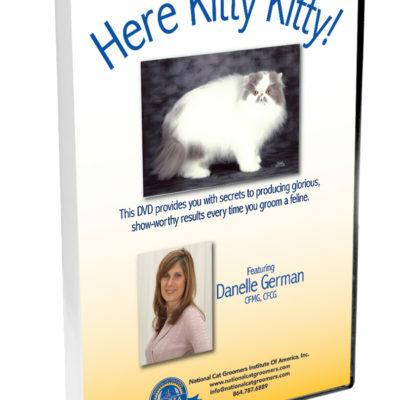 This course addressing scheduling, adapting each element of the grooming process, common health problems, and recommendations for the senior cat’s living environment. 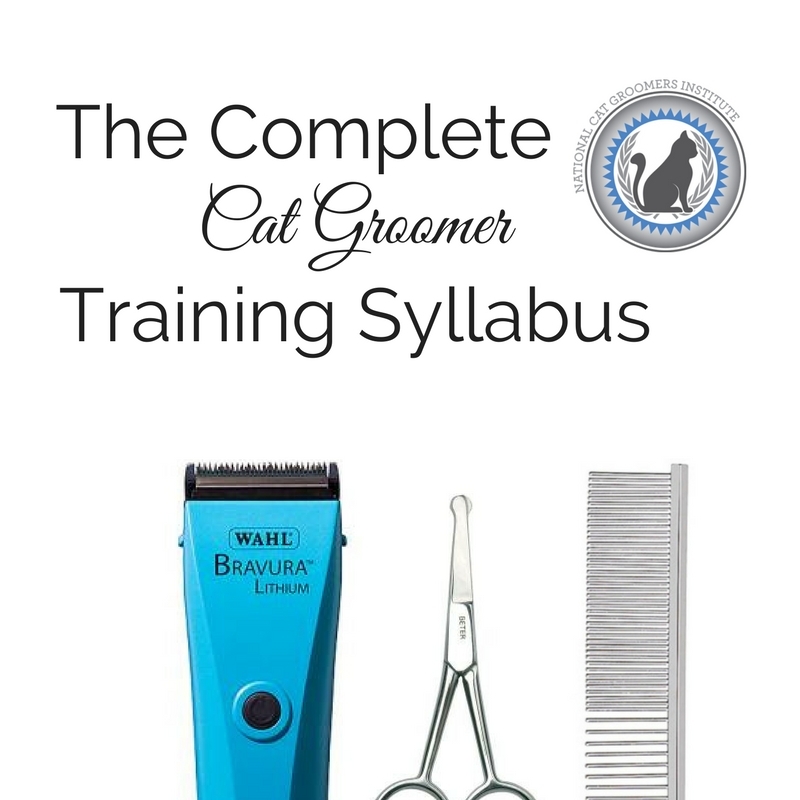 The Senior Cat class is just one of the resources available in our Complete Cat Groomer Training Syllabus. Get everything you need in one place, plus a guided 10-week program to walk you through the materials and to your CFMG certification.